Photo by Suzann Clay/The Collegian The J. Ardis Bell Library on NE Campus will have a book display about writing different genres of fiction that will include books they have on hand of past National Novel Writing Month participants. TCC libraries across the district are gearing up for National Novel Writing Month, which kicks off on Nov. 1. The monthlong event was created to encourage people who want to write a novel to sit down and actually do it, said South public services librarian Pamela Pfeiffer. “At South Campus, we have been supporting authors during NaNoWriMo since 2015, but we had more participation in the first few years when we also had an active writing club,” she said. Writers will attempt to finish a 50,000-word novel by 11:59 p.m. Nov. 30, so the month is a creative writing challenge but also much more, said TR library services director Susan Smith. In 2017, 402,142 participants, including 95,912 students and educators, began the month as auto mechanics, teachers and more. They ended the month as novelists, according to NaNoWriMo’s website. Hundreds of novels completed during the month have been published, including Sara Gruen’s Water for Elephants, Erin Morgenstern’s The Night Circus and Jason Hough’s The Darwin Elevator. “A big part of NaNoWriMo is the community of support,” Smith said. Libraries on South, TR, NW and NE have signed up as official Come Write In locations this year. Aspiring writers are welcome to come in any time the libraries are open, said NE public services librarian Bonnie Hodges. “But also having a space set aside at a particular time can allow some writers to talk and work with other writers providing a sense of community,” she said. This will be NE’s second year to recognize the month, Hodges said. “We started doing it because another English faculty member who also teaches Creative Writing asked us to consider it. Plus, a couple of other campuses were doing it,” she said, adding this year the campuses banded together. Smith said she hopes students will take advantage of this month of opportunity because TCC students can benefit from the skills and values they’ll learn both inside the classroom and out. SE’s library will not be doing anything in recognition of the month, according to SE library services director JoTisa Klemm. “Due to low participation the past couple years, SE library staff is not planning any NaNoWriMo activities this year,” she said in an email. TR almost opted out of doing anything for NaNoWriMo too because they have an open librarian position and everyone is already doing more to fill in and help out, Smith said. But some of TR’s faculty library ambassadors asked her to reconsider. “I decided I could make it happen,” she said. TR will hold write-ins on Thursdays throughout the month with a special first-day write-in, Smith said. TR’s write-ins will be 1-5 p.m. Nov. 1, 8, 15 and 29 in the library’s multipurpose room (TREF 2105) across the hall from the library and are open to students, faculty, staff and the general public. NW’s Walsh Library and Academic Learning Center are collaborating for the first time on activities for the month, according to NW public services librarian Linsy DePooter. Before the month starts, the library and ALC will host two events Oct. 30 — the Fight to Write launch party 2-5 p.m. and a plot planning workshop 2:30-3:30 p.m.
On Mondays and Thursdays throughout the month, the ALC will host Writing Sprints in addition to World and Character Building workshops on Thursday afternoons. On Tuesdays and Wednesdays, the ALC and the Walsh Library will hold dedicated writing times and provide snacks for attendees. NE kicked off the month with a speaker Oct. 19 as a “get acquainted and get inspired event,” and will offer write-ins on Monday evenings, Hodges said. 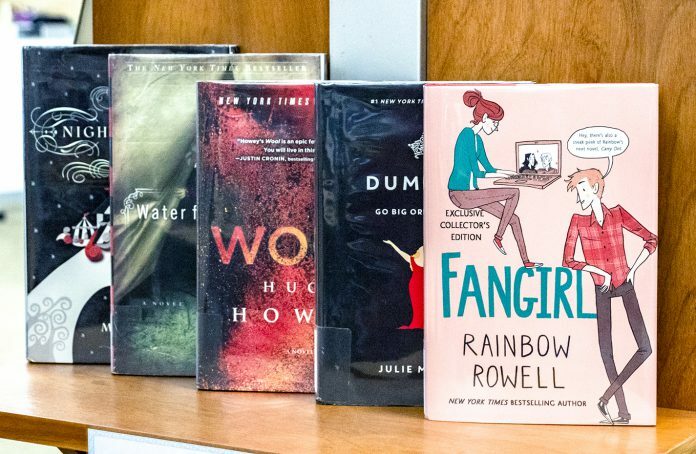 The library will also have a book display about writing different genres of fiction and will include books they have on hand of past NaNoWriMo participants.